The Universe Is Still Dark After All These Years : 13.7: Cosmos And Culture We've learned so much, yet we still don't know the composition of 95 percent of the cosmos. Commentator Marcelo Gleiser says it is good to stay humble and keep an open mind as the search continues. Well into the 21st century, it is indisputable that we know more about the universe than ever before. So that we don't get lulled into a false sense of confidence, today I provide a short list of open questions about the cosmos, focusing only on its composition. These are some of the mysteries that keep many fundamental physicists and astronomers busy and hopeful. We know that 5 percent of the cosmos is filled with "normal" matter, that is, the stuff that we — and stars — are made of, mostly protons and electrons. We see the fraction of normal matter that shines or that reflects light. What we can't see in the visible we detect from the different kinds of radiation the matter emits in the whole spectrum of electromagnetic waves, from radio and microwaves to X-rays and gamma rays. 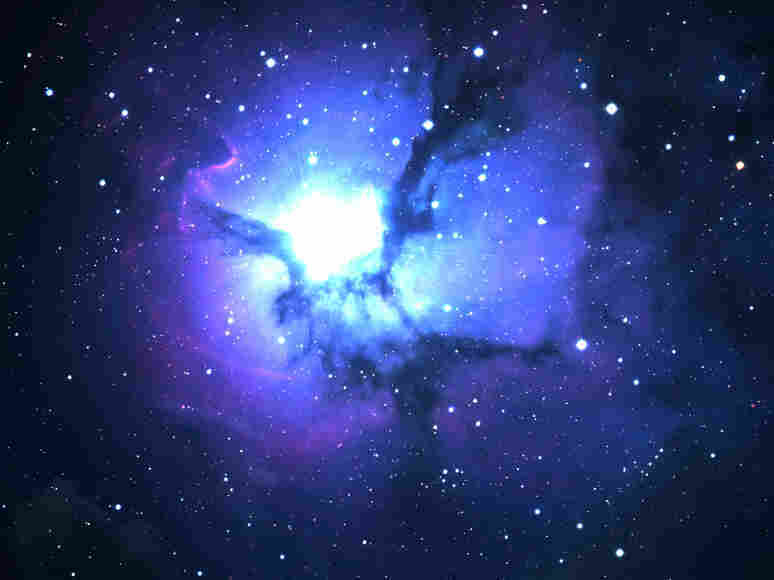 There is a whole lot of interstellar gas and a lot of complex molecules spread around galaxies. Pretty much all of astronomy relies on collecting these different kinds of radiation — the sweat from the atomic dance. The mystery comes from the rest of the stuff, the other 95 percent. There are two main characters — dark matter and dark energy. "Dark" refers to the fact that this stuff, whatever it is, does not radiate any kind of electromagnetic radiation. The dark stuff doesn't sweat, at least not in any ordinary radiating way. Dark matter is probably particle-like, and cloaks galaxies like a veil. We know it contributes some 25 percent of the total, roughly five times more than ordinary matter. But we don't know its composition. There are candidates, from small stars (brown dwarfs) to more exotic particles coming from supersymmetric theories. In case you missed them, supersymmetric theories are hypothetical extensions of our current models describing particle physics, which predict the existence of a bunch of new particles. The rest, some 70 percent of the stuff filling up the cosmos, is even weirder. Discovered in 1998, dark energy is responsible for accelerating the cosmic expansion for the past few billion years, stretching space with great efficiency. Galaxies and the rest drift along with the flow, as corks bobbing on a river. What could this be? Well, it's not particulate matter, stuff made of little bits, like ordinary matter and probably dark matter. What then? Candidates include the energy of empty space itself — the quantum vacuum with its incessant bubbling activity — or some kind of ethereal field that permeates all of space without interacting with anything in particular. (The Higgs also permeates space, but it does interact selectively with different kinds of particles.) Some believe that dark energy, and even dark matter, point to the failure of Albert Einstein's theory of gravity at large distances. It's physics on the fringe, and we don't know much at this point. Great help will come from future missions, in particular the European Space Agency mission Euclid, a space telescope to be launched in 2020. Euclid will map over 2 billion galaxies (read that again: 2 billion galaxies!) to investigate whether dark energy has changed over the past few billion years or whether it remained constant in value. If constant, dark energy will be associated with the energy of empty space itself; if changing, it could be modeled as a field losing energy, just as a ball rolling down a hill loses gravitational potential energy. Whatever the answers are, dark components of the cosmos are both a lesson in the amazing efficiency of science (at least we found them!) and the need to keep an open mind and to remain humble. We may be startled when we decipher their natures, if we ever do; it's not unreasonable to expect that the answer will be mind-blowing — and that it will trigger new, unexpected questions that will keep scientists busy and mystified for the rest of the century.